In a bid to support those who might be battling with loneliness, Go-Ahead has introduced a ‘chatty bus’ campaign. Activities began taking place in Brighton, Hull, Horsham, Newcastle, Plymouth, Oxford and Eastleigh on 29 January. Go North East also deployed its ‘Chatty Bus Champions’ to three of its busiest routes. Two thirds of those polled believe that the bus creates good community ties. The research was release ahead of the launch of the Government’s Loneliness Strategy in January, which aims to tackle the growing problem of loneliness and isolation felt by those in the UK. 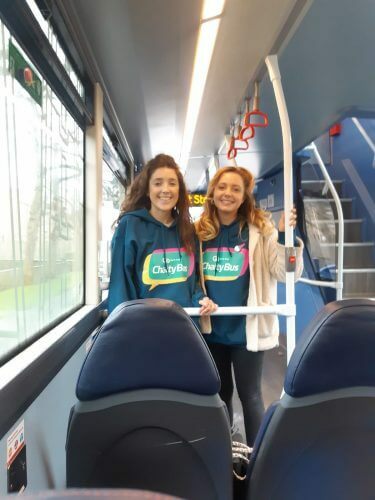 The Chatty Bus Champions will only engage with those who want to take part, and will strike up conversation, play games and use a range of icebreakers. Transport Minister Nusrat Ghani said: “Transport has a vital role to play in tackling loneliness and bringing people together. Something as simple as a bus journey can put a smile on someone’s face.